Jungle Red Writers: Is There Such a Thing as TOO SAD? HANK PHILLIPPI RYAN: I flew from Boston to Phoenix to Boston in 24 hours last week, which was so much fun (I saw Rhys and Jenn, too!). But on the flight back, I was fidgety. Trying to read, but nothing seemed good. 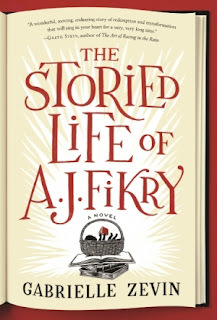 So I flipped though what I'd downloaded on my phone, and found a book Roberta had recommended, The Storied Life of A. J. Fikry. Okay, I thought. Now's the time. I started reading. I was enchanted. SO sweet, and so clever, and so literary, and sometimes I laughed out loud. Then, the moment came. I got to 61 per cent in the book, and thought--UH OH. This is gonna be SAD. And...I stopped reading it. I cannot read sad things, I simply can't, and if I do, I wind up upset for days. So don't tell me what happens, because of course, I could be wrong. But I don't want to find out. I can't watch sad movies, either. I have not seen Beaches, or Steel Magnolias, or Fried Green Tomatoes, or..well, you name the sad movie, I have not seen it. Schindler's List? Oh, dear, no. Life is Beautiful? Forget it. Up? No, no no. I cry so hard, and then my face gets puffy, and then I have to go to sleep, and the next day I have residual sadness. How about you Reds and readers? How do you feel about deliberately making yourself sad? (Or is that the wrong way to put it?) What's the "best" sad movie you've ever seen? HALLIE EPHRON: But Hank, you love Game of Thrones?!?! Seriously, you don't like sad endings?? HANK: Huh. I don't think Games of Thrones is sad. Hardly at all. Huh. It's high-stakes, and high-stress. And violent. But sad? Only...once or twice, and then not REALLY sad. Anyway. HALLIE: I confess to jumping to the end when the tension is just too great and I can't stand what looks like is going to happen. And when people ask me about my books I ALWAYS reassure them that I never kill children. 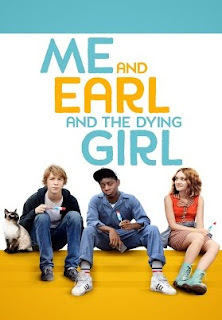 Best sad movie I've seen (recently) was Me, Earl, and the Dying Girl.The premise, the performances, the characters (sweet geeky high school losers). Divine. JENN McKINLAY: I don't do sad. Period. But, yes, I love Game of Thrones because, well, not to be shallow but Jon Snow. 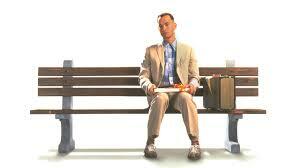 Forest Gump had me curled up in a fetal position sobbing for two days. It was unpleasant. One of my biggest challenges as a writer is my inability to torture my characters. I am much more comfortable with a snappy one liner during an anguish filled scene and move along, folks, nothing to see here. I am working on it. *Sigh* But, yeah, I don't do sad. I avoid it at all cost because, honestly, isn't life tough enough? Plus my nose gets really, really red and I look like a drinker. INGRID THOFT: I’m okay with sad, although I don’t seek it out, but I definitely don’t do manipulative. You know, when you can see the sad coming from a mile away, and you feel like you’ve been used a little bit? Like the writer or filmmaker pushed the “easy button” on your heart? I really don’t like that. 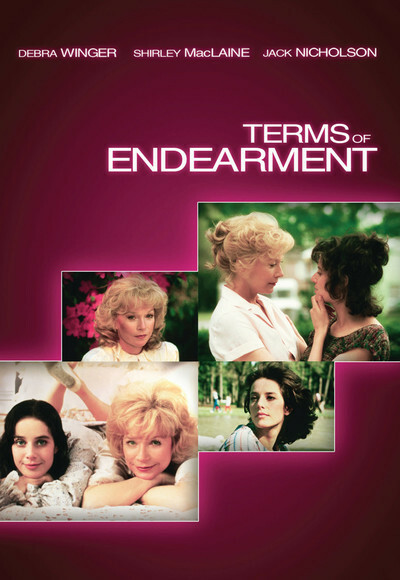 Also, I have never recovered from the scene in “Terms of Endearment” in which Shirley MacLaine bangs on the nurses’ station begging them to give Debra Winger more pain meds. Debra may have been dying, but that scene killed me. That was 35 years ago, and it still upsets me! JULIA SPENCER-FLEMING: Right now, I am all about the anti-sad. I'm reading Regency romances (always a happy ending) and watching Hallmark Holiday movies (yes, still!) Normally, however, I like a certain kind of sad. Death of children? No. Cruelty of mankind? Absolutely not. I saw SCHINDLER'S LIST once, and it was an amazing, praiseworthy film, but I'm never going to see it again. On the other hand, I love noble self-sacrifice. Love that Cannot Be. 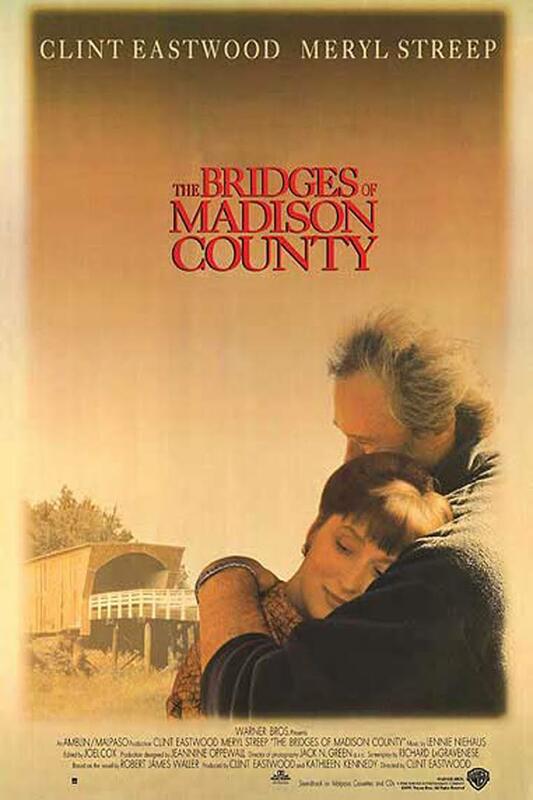 For instance, I adore the movie version of BRIDGES OF MADISON COUNTY (the book is dreadful.) I'm like, "Oh, no! They love each other! But they can't ever be together!" Copious tears. And I do love the George RR Martin books, even though beloved characters die all the time. Maybe because I never feel, as Ingrid said, used a little bit. They don't die because the author is manipulating your feelings, they die because they inhabit a violent world where there are no deus ex machinas to make things come out all right. LUCY BURDETTE: I totally have that same scene imprinted in my brain for life, Ingrid. Shirley MacLaine was brilliant there. I don't go looking for sad, but I can take it if something comes out of it. 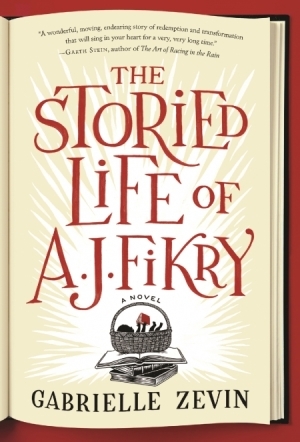 Like the ending of AJ FIKRY was a good ending that emerged from the sad. But I can't do relentlessly grim or scary. There's too much of that on the news. Julia, read Kristan Higgins's books. Just what the doctor ordered! RHYS BOWEN: When I was young I used to wallow in sad. Little Women and Beth dying. A little Princess. Loved all that sort of stuff. Now I'm old and wise and I know that the world is not fair and takes what we love from us I find it hard to watch anything too sad. 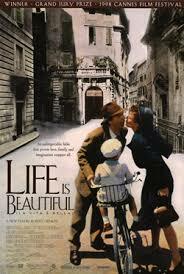 I did love It's A Beautiful Life because it was actually so life affirming. I couldn't see Schindler's List. When I saw Out of Africa I came out with tears streaming down my face. Not because Dennis Finch Hatton had died and Karen Blitzen's dreams had been crushed but because I would never have that great and overpowering romance in my life! I find that recently I am very picky what I choose to watch at the movies. I have to know I can handle it before I go. And it has to end well! DEBORAH CROMBIE: I don't do sad nearly as well as I did when I was younger. Oh, my, I loved sobbing my way through OUT OF AFRICA, and THE ENGLISH PATIENT was my favorite movie for a couple of years. Now I don't know how I watched it, although I still listen to the soundtrack. 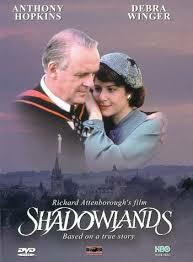 And SHADOWLANDS, did anyone see that, about C.S. Lewis's wife dying? But people are so funny. Rick absolutely HATED Shadowlands. But he LOVES City of Angels, and we will rewatch it. I cannot. These days, however, I don't know if it's age or the state of the world, but I pretty much want to know that things are going to turn out okay, or at least sort of okay, before I invest my time in a movie. HANK: Yes, people will say to me, "oh, I don't want to ruin the movie/book/TV show for you by telling you the ending." And I say--TELL ME. I can handle it better if I am prepared. What about you, reds and readers? Do you do sad? What's the saddest movie/book/TV show ever? And are you happy (!) you experienced it? There’s something to be said for happily ever after [which, I suppose, is why I can always be persuaded to watch CINDERELLA with one of the grandbabies] . . . . Sad IS difficult and I don’t necessarily go out of my way to find the saddest things to read/watch. But life can be sad, sometimes unbearably so, and yet . . . . I did see SCHINDLER’S LIST . . . what I remember most is the inherent goodness that this man displayed in the face of such horror . . . evil countered by goodness. Sad, yes. But also affirming . . . . Yes, affirming. ANd that makes it not only sad, but sadder. Saddest ever--Terms of Endearment. Oh my, I cry just thinking about it. Love Out of Africa and think I should track it down and see it again to see if it wears as well. To be honest, the cinematography was the lead character for me. These days, I'm looking for predictably happy. Too much sad going on in the real world to seek it out for entertainment. When it comes to books and movies though - don't hurt the kids or the animals! no excuses. Not watching or reading many sad stories lately. Brian's Song and Love Story. I remember weeping at both death scenes. I loved reading Laura Ingalls Wilder's "Little House on the Prairie" books in grade school and also watched the TV series. But there were way more sad moments/tragedies in the TV series than ever was in the books. CLASSIC sad movies! Brian's Song? Forget about it..not a chance. I don't generally seek out sad stuff to watch. Of course, I've seen sad movies or TV shows that I didn't know where going to be sad at the start. Unlike Hank, I've seen Fried Green Tomatoes (because I had a crush on Mary Stuart Masterson at the time), but I didn't know it was going to be sad. That said, I did like the movie. I'm also a huge Game of Thrones fan. While there have been sad parts during the show's run (The Red Wedding anyone? ), I don't consider it a sad show. And while Jenn may boil things down to Jon Snow, I'm a little more expansive in my enjoyment of the characters. I loved Ygritte (Jon's Wildling lover), Tyrion (best lines in the show) and of course Brienne of Tarth and Arya Stark. Arya is my favorite little psychopath and if you ever get the chance to see her training scene with Brienne (Season 7 Episode 4) you will love it. Then go watch the scene on YouTube were someone took the time to make it look like they were fighting with lightsabers. It is AWESOME! The saddest thing I've ever scene on a TV show was the NYPD Blue episode where a main character dies. It gutted me for a couple of days because I loved the character so much. But it was an amazing episode so I guess technically I was happy to have seen it. Sorry, Jay - I have no idea why Blogger would think this was spam. I loved Fried Green Tomatoes... was it sad? Oh, yeah. Oh, NYPD Blue - The death that got me: Sgt. Phil Esterhaus? "Let's be careful out there." Oops... that was Hill Street Blues. It's generational. I agree...Games of Thrones is surprising, but not sad. I love exactly those characters, too! Jimmy Smits' character, is that the one, Jay? Hallie, don't feel bad. I love Hill Street Blues too. As for Blogger, boy is that system ticking me off! Hank, see great minds do think alike. Ingrid, yes Bobby Simone's death tore me up. I'm another fan of Bridges Over Madison County. I weep every time. And Dr. Zhivago? Oh my gosh. So I guess I can do romantic sad. But life sad? Nope. We have too many refugees, too many hungry kids, too much darkness to read about darkness, too. And definitely no violence. Oh, dear. I love sad. Not sadness caused by fear or violence, that's for sure. But if it's caused by human connection, by kindness, by the hard stuff of everyday and real life, then bring it on. It's about the only time I cry. And I do like a good cry. I say The Post on the weekend, and the commitment those journalists had - and that Katherine Graham had - to the pursuit of truth and the publishing of it: Well, that moved me to tears. Katharine Graham's story is the kind where sadness kicks things INTO gear... I haven't seen it, but I assume it covers how her husband's death forced her to step into a position she'd never have otherwise taken. She's kind of "Rocky." Kind of. Whenever there are scenes of the newspaper rolling off the presses, I tear up. It feels like such a victory! I don't do sad, or hospital shows, or anything where a kid, dog, or other animal is hurt or dies. Like Hank, I'll have residual sadness and I also start thinking about other sad things (loved ones who are no longer with us, etc.). doesthedogdie.com is a great web site for people like me. It now includes other things that upset or scare people (bugs/snakes/rats, clowns, parents dying, etc.). Life is hard enough without watching or reading stuff that makes me sob. I'm guessing this all started when I saw Bambi as a little kid. I can still watch it but I have to stop before Bambi's mom dies! Oh, yeah, you have to skip that part. What is the website? Happy things? Can we categorize a movie as sad and unbearable just because someone dies in it? I recently watched a movie (won't name it here, though I wish I could) where one of the main characters dies in an accident moments after he and the heroine have admitted they love each other. But that's not the whole point of the movie, and the rest of it is funny and uplifting and marvellous, with terrific characters(and a dog). I've been recommending it to everyone (without mentioning the sad part). Please tell me the name - it sounds very good. Yeah, but that would ruin it, right? I am sharing a hotel room in Winter Park Florida with my friend who was diagnosed with MS just before I saw (with no trigger warning about the story) "Beaches." She'll be 71 in a few weeks but that movie about killed me. Still I say a play based on "Beachs" and loved it. I seek out sad movies. Maybe it's a way to react privately while I need to be brace in real life? Apparently my post has gone missing again. Jay I see your post farther up the page. I don't go looking for sad and sometimes I can see it coming in a book or in a movie and then I feel manipulated. I loved the book the Light Between Oceans and I did not expect that ending. Oh my, that was so hard. The movie was good too but of course I knew what to expect then. I have never seen a dog movie that didn't have me crying but that doesn't stop me from seeing more of them. Yes, it's so annoying to be manipulated. And we can see it coming like a ton of bricks, right? Like Rhys, loved sad books as a child. And Brian's Song, Nestor the Long-eared Donkey, and similar shows. I remember specifically reading books with sad parts because I wanted a good cry. Maybe that was my way of dealing with an excess of youthful emotion? I certainly don't seek out a good cry now. Huh. That's a really interesting process. And a fascinating question! Lisa, you remember "Nestor" too?! My sisters and I always feel like we imagined him because no one else seems to know of his existence! That's how my sister and I felt, too! 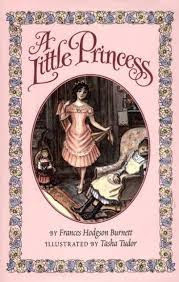 Funny to see The Little Princess categorized as 'sad' - STARTS OUT sad (so many classic children's stories begin with orphaned kids? Snow White. Matilda. The Wizard of Oz. Anne of Green Gables.) And after that it's about triumphing. Sad ENDINGS are the tough part. I also remember watching Up, luckily at home, and looking at my husband accusingly 5 minutes in, tears streaming down my face. "I thought this was supposed to be funny?" It is also worth noting that I'm very emotional in general. You know those touching CBS Sunday Morning stories where someone overcomes some great challenge? yup, there's me always crying. One of my favorite crime fiction books of last year had be in full-on tears over a freaking teddy bear for goodness sake. I don't know, I feel better after a good cry, so bring them on. Okay, we need to know the bear book. But that would give it away, right? I think I just finished the bear book, Kristopher, if we are talking about the same one. I don't know that it's a real spoiler. It's just a small part of an amazing book and the teddy bear has been mentioned in every review of the book - including my own. Since the book is getting nominations in all the recent award announcements, it's not just my opinion any more. Read SHE RIDES SHOTGUN by Jordan Harper. Kristopher, do you also cry in those sappy commercials where someone comes home unexpectedly for Chrustmas? I do! Yep. Same book. Highly recommended by both Kristopher and me! One Flew Over the Cuckoo's Nest, Terms of Endearment, never again. Schindler's List, Life is Beautiful--never at all, even though I know they are wonderful stories. For heaven's sake, I've been known to cry at a COMMERCIAL! But, if anyone hasn't seen Snowcake with Alan Rickman and Sigourney Weaver, highly recommend. Keep the tissue box nearby, but be prepared to laugh at times until you cry, as well. And, Julia, I recommend multiple viewings of The Princess Bride. Happy ending, glorious fun, even after who-knows-how-many viewings. yes, the commercial where the girl says goodbye to the soldier? And a couple of coffee commercials. And the beer one, with the dog? Sheesh. I've never heard of Snowcake. Will look for that, although just thinking about Alan Rickman is likely to make me cry... One of my favorite all-time tear-jerkers is another Alan Rickman film, Truly, Madly, Deeply. Maybe my favorite Alan Rickman film ever, but get out the tissues! Trying to recall if I can tolerate sad books or sad movies. However, I do know that I cannot read graphic violence. For some reason, cartoonish violence is ok because it is cartoonish. I do not like movies with violence either. I used to watch a cable channel that was supposed to be pro-women, then after watching movies on that channel for a while, I started to think that there was too many movies about violence AGAINST women so I stopped watching anything on that channel. I do not even watch Christmas movies on that channel because they show ads for violent movies during commercial breaks. Yes, they do show the violence during the breaks! I am drawn to lighthearted books and movies. I think that I can handle sad in books and movies if they are in small doses. I cannot read a book or see a movie that has any animal sadness in it. I fall apart. Doesn't matter if there is a happy ending. I sob at King Kong (only have seen original one and when he is being tormented by the airplanes...sob!). I won't watch any kind of animal movie. I can't read them either. I was reading the book 'Dolphin Freedom' to my daughter many years ago, and when Baby the dolphin got punched I started crying. We never finished that book. I'm pretty good about sad human stories. I do feel them a bit too much sometimes so need to watch it as a sad ending can cast a pall over me for days. ANimal sadness! My producer/colleague Mary told me her mother read her Ring of Bright water as a kid. But left out the real ending! Then, when Mary grew up, she saw the movie. IN college. And called her mom in tears, saying--the movie got it wrong!! Interesting comments and reactions. I think I cope with sad things pretty well. I couldn't have spent all those years as a hospice nurse otherwise. I lost a child, brain tumor, many years ago. That, in my opinion, is the gold standard for sad. Nothing else has begun to come close. So, while sad books, movies, TV shows can wring a tear, they aren't real, and I do my crying and get over it. This week Julie lost a family member. The tragic thing about it to me was all the pain she had to suffer, not that she died. And I had occasion to talk with a Red about a family member with a perhaps terminal illness. I wept after that conversation, but still I felt privileged to be a part of it. Before I was a hospice nurse, my speciality was obstetrics. It is a transformative experience, being present at a birth or a death, seeing and feeling the change from one form of being to another. I am very lucky to have experienced both. On the other hand, don't let the dog die. Period. You are a saint, dear Ann. Far from it Hank, but thank you. You are a dear, Ann, if not a saint:-) And I can't imagine any greater privilege in life than being present at births and deaths. Ann, I didn't realize you were a hospice nurse. My husband was in hospice for ten days, and the the nurses and CNAs were some of the most comforting, caring folks I have ever met. They really made it possible for me to endure the unendurable. Thank you, so very much, for what you do. De nada, Julia. I got more than I could ever give. I'm more apt to push myself on with a book that is breaking my heart than a movie, perhaps because I have the opportunity to give myself breaks, and to peek ahead and see how things turn out. I've reached a point where I screen movies pretty strongly for their heartbreak potential. I know this is jumping back a lot of years, but the movie Sophie's Choice nearly killed me and I don't ever want to be that surprised and devastated again. After saying all that, though, I will admit that I have realized one little quirk. I am actually OK with a movie that causes me to cry like a baby IN THE MIDDLE. I mean, obviously there has to be conflict and drama to make a story move. I often say I like the old 1940's formula for movies: cry your eyes out in the middle, but by the end good triumphs over evil, the boy gets the girl (or in more modern terms, the lovers unite), the sun is shining, the birds are singing, and there is hope for the future. What I absolutely avoid is movies that leave me devastated at the end. In all sincerity, that just feels to me like masochism. I don't want to invest my precious and limited entertainment time and money on things that will make me feel worse than I started. Susan. Sophie's Choice, I STILL think about that. And delighted we are soul sisters! My husband is the biggest softie who ever lived, and sad movies wreck him. At the end of Terms of Endearment, both of us with tears rolling down, he stood up and declared, "From now on, no sad movies. Comedies and X-rated only." I burst out laughing, especially when the lady in front of us turned around with a horrified expression. Bridges of Madison County was so silly it made me laugh. It stretched credulity too much to think they fell so deeply in love in two days. In fact, that's one of my biggest beefs with movies, in particular, these truncated and unrealistic relationships. No wonder so many people have crazy expectations about romance. I can't think of the last time I cried over either a movie or a book. It's been awhile. Hidden Figures teared me up, but not because of sadness. Such an interesting topic. With some surprising responses too.Sometimes, for me, it depends on where I am in my life. I may need escape- The Throne or Victoria is not like what's in the news? Good! I'm sick or stressed? Give me something funny! And sometimes it depends on the quality of the movie or book. I don't like being manipulated by "weepers" and, for instance, HATED Bridges of Madison County book so much, I never saw the movie. OTOH, there can be a quality of catharsis if it's well done. Steel Magnolias,say. Sadness is unavoidable in life and a great story can help us deal with it. There is this too: if it's history (eg. Schindler's List or Saving Private Ryan) - knowing those stories can be a way of honoring those who actually lived through it. As a writer, I share the problem of wanting to be kind to may characters, though! That's kind of a problem in the mystery game. And speaking of games? What I definitely avoid onscreen is violence. And I do mean Game of Thrones. Never. The last thing I remember tearing up at was the eulogy that Gus writes for Hazel in "The Fault in Our Stars." I read it at 2am and yes, I cried. But in general, I'm not a big crier. I can acknowledge things are sad, but I don't cry. The animated film Inside Out (which was brilliant) really addresses how important it is to feel all the feels but I still struggle with sad and angry (I"m not good at that one either). Jenn, did you notice the mom's primary controlling emotion was sadness? I found that movie incredibly moving too. Such a sweet love story. Julia - I did! It actually made it even more real to me because as the youngest kid in a dysfunctional family of eight, I felt responsible for everyone's happiness. I suspect this is why my go to is to always crack a joke, never show sadness or upset, just keep smiling and be happy and everything will be okay. God, what a burden. And, of course, I could never really make anything okay no matter how hard I tried. I could only distract and delay. Well, wasn't that a unexpected dose of self-analysis? Going back under my rock in three, two, one...LOL. I don't seek out the sadness. I think there's enough sadness in the real world, without subjecting myself to it in my fantasy/reading/viewing world. Also, I will stop reading a book if the dog (or cat) dies. I don't care if it's a noble sacrifice. I don't need that in my life. That said, I've seen a bunch of the movies mentioned here. "Up" was a killer, but once I got past the opening sequence, I was fine with it. "Schindler's List" is a masterpiece, plus it has Ben Kingsley and Liam Neeson. I loved "Shadowlands," "Steel Magnolias," "Forrest Gump," and "Fried Green Tomatoes." But "Old Yeller"? Nope, Nope, NOPE! I agree, Schindler's List is a movie that everyone should see. Saving Private Ryan is brilliant, too. I can deal with things that portray real tragedy, but not things that make me feel manipulated. Oh, I guess I am the opposite of most of you here. I can do sad. My favorite movies are Dr. Zhivago, Out of Africa, The English Patient, Reds, Steel Magnolias etc. etc. etc. I am not sure why exactly watching those movies doesn't actually make me sad. I think crying at a movie is so much easier than crying about your life. I've got lots to be sad about right now in my live (Husband has dementia and is going downhill), but watching a sad movie doesn't bother me (once the tears have dried up). And one of my go-to books when I'm down is Jane Eyre. Don't ask me to explain. It actually makes me feel better. I agree, Beverly. There is something cathartic about anguish second hand (especially if it's experienced by beautiful people like Omar Sharif, Robert Redford and Ralph Finnes!) You can wallow in beautifully photographed sorrow for a while and then feel better after. So sorry to hear that about your husband, Beverly. It's so difficult. My heart goes out to you. I'm so sorry, Beverly. What a difficult thing to watch your life partner struggle so. Maybe the sad movies remind us that we're not alone when we struggle that others have difficulties and heartbreak, too. Thank you ladies. I appreciate your kind comments and covet prayers from anyone who is a pray-er(sp). This is super hard, but we are making an effort to enjoy all the good times together that we can and making memories with our granddaughter. The hardest part is that we've always teased each other a lot and now he doesn't understand that any more. I have to keep reminding myself that he can't respond to humor the way he used to. Oh, Beverly. We love you so much...and wish there was something we could do. I suppse movies might be a bit of a brief escape? Saddest movie ever: FRANCES. Starred Jessica Lange as Frances Farmer, a starlet in the 1940s who is involuntarily committed to an asylum. Also stars Sam Shepherd. I saw it for a class in college and walked out sobbing. The prof called the next day to make sure I was okay. Saw it again about 6-8 years later and had the same reaction. Never watching it again. There was something about Frances being attacked for her individualism, her willingness to speak out, and her reluctance to go along with the Hollywood machine (Harvey Weinstein, anyone?) that truly upset the young, creative me. Oh, wow, I missed that completely. And you know I grew up in Indianapolis, where she hosted an afternoon movie series on TV. Something like that. I bet I was 7. I don't do sad generally. I am dealing with too much sad in my life right now. I avoid sad movies like the plague these days. I can read some sad but it had better have funny in there too. And don't you dare kill off the dog! I watched Victoria Sunday. Her dog Dash died. Her beloved Lord M died. What the heck. The father-in-law, no problem. I would love to see The Shape of Water but I think I'm going to have to wait until it is on streaming or TV. Eager to hear what you think about Shape of Water. I haven't seen it yet..and have heard conflicting reports! I can't believe that no one has mentioned the scene in Downton Abbey when Sybil dies in childbirth from the awful complication of pregnancy -- eclampsia. My parents lost their first child from ecamplsia as well. They never recovered completely from that trauma and neither did my other siblings all of whom were born years after this baby died. We actually said a nightly prayer for our brother Charles well into our teens. So sad. So hard to watch. In another scene in the last season of Downton, Lady Mary and Lady Edith finally come to a more loving acceptance of each other after Mary says, "when you and I are gone Edith, no one will ever know that Sybil was so lovely and how we cherished her..." It so reminded me of the many nights when my father would say, "children, let us remember our brother Charles now." So often there would be a catch in his voice and he would pause for a moment before going on. As a teenager, I don't think I felt much emotion at those moments but when watching Downton, I finally understood. I'm not sure, however, that I would willingly watch those scenes again. Brother Charles lived three days and has been dead for 80 years now. What an impact he made. The scene was heartbreaking, Pat. Truth be told, I stopped watching Downtown after that because I was so angry with Lord Grantham. I felt like he didn't get her the doctor when she needed him! And Pat, that is such a touching memory. Has anyone heard about the phenomenon where people who normally aren't weepers totally lose it when watching sad movies on planes? I'm not making this up. I know a few people who have had to be consoled by the flight attendant when they watch something sad, but it's something they wouldn't react to at home. Oh, that;s so interesting! Huh. Wonder why? I don't think I've seen any of the sad movies mentioned. I don't "do" sad books or movies. I also avoid books and movies with gratuitous violence. It's not unusual for me to have nightmares for several days after seeing a sad or depressing or violent movie. The most recent objectionable (to me) movie that I've seen is August Osage County. The acting was excellent but the story left me with a sick feeling for days, and most of the people I know who saw it had the same experience. Isn't his so interesting? I love reading these reactions to "sad." And how we all really think about it. Love you all, so much. This is why I love genre fiction and why I write mysteries. The audience expects things to turn out all right in the end. They want their dose of reader satisfaction, and I want my heroine to come out on top. Trust me, I will never write a book with an unhappy ending! Oh geez, Shadowlands. A friend recommended it to me, and boy did I cuss him out as the tears were running down my face.